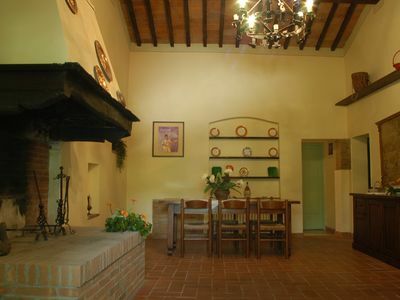 VILLA L’INCANTO is a sunny and bright two-storey villa facing the sun and the sea and is suitable for up to six people. 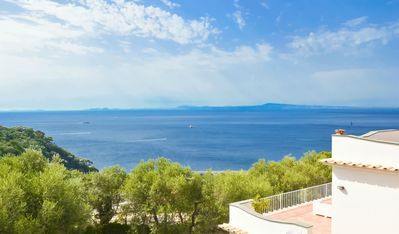 From the villa you’ll enjoy a captivating view of the sea. 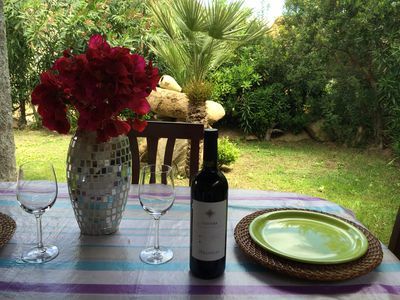 Villa l’Incanto has a private swimming pool, private panoramic terraces with sea views, a private garden, air conditioning (in the living room only), heating, Wi-Fi internet, and parking. 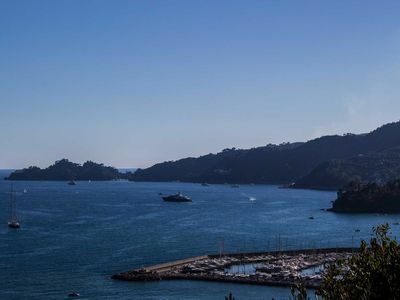 Villa L’incanto is situated in Massa Lubrense, one of the places furthest along the Sorrento peninsula (beyond this you reach the locality of Termini which, along with Punta Campanella, is the point which divides the Gulf of Naples from the Gulf of Salerno). In less than 10 minutes, by car or public bus, it’s possible to get to prestigious and characteristic villages and towns like Nerano, Sorrento, and Sant Agata Sui Due Golfi. 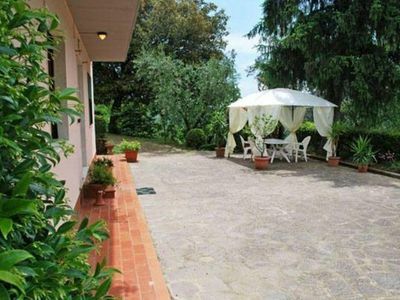 Just 5 minutes from Massa Lubrense, towards Santa Maria Annunziata, you’ll arrive at the entrance to a private park, where you’ll find Villa L’incanto. 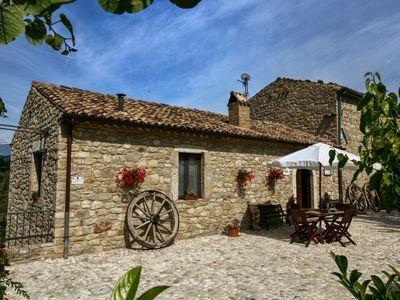 You’ll be about 1 km away from Massa Lubrense, where there are restaurants and shops. 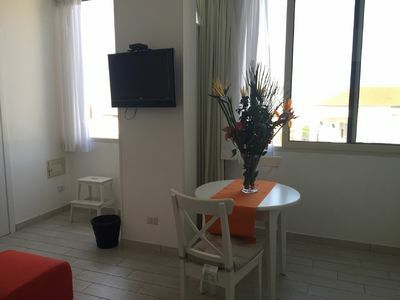 You’ll find the closest restaurant 500 m from the villa, the SITA bus stop (running services between Sorrento, Massa Lubrense, and Nerano) just 200 m away, and the closest beach is 2 km away. 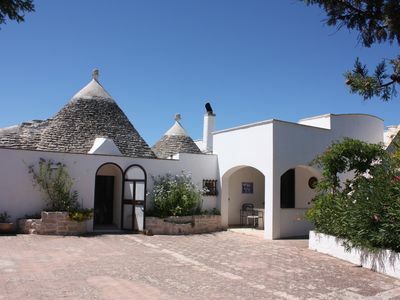 To stay at Villa L’incanto we recommend that you have a car. You’ll be able to park it for free in the villa’s private parking area. There is enough space for two vehicles. From the parking area you climb some steps to get to the villa. THE SWIMMING POOL is rectangular and the area surrounding it is gated. 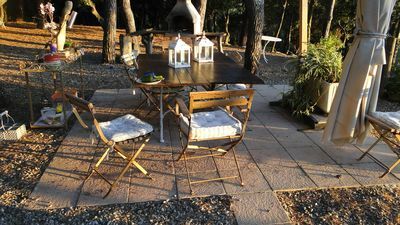 Here you will also find the solarium, equipped with tables, chairs, deck chairs, sun loungers, and an outdoor shower. From the pool you’ll enjoy an unforgettable view of the sea. 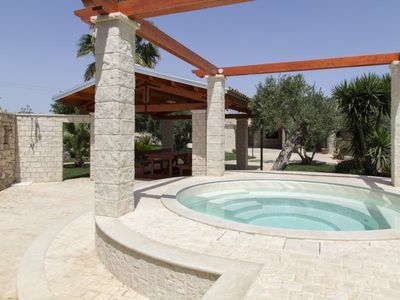 The pool is available from the beginning of April until the end of October. 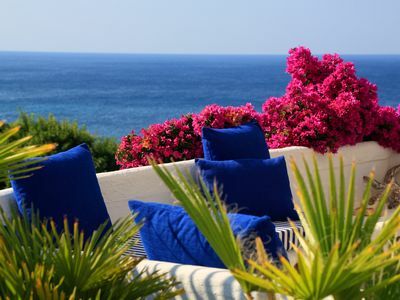 THE FIRST TERRACE has a partial view of the sea and is accessed from the second and third bedrooms. THE FIRST BEDROOM contains a double bed and has a window which looks out onto the garden. 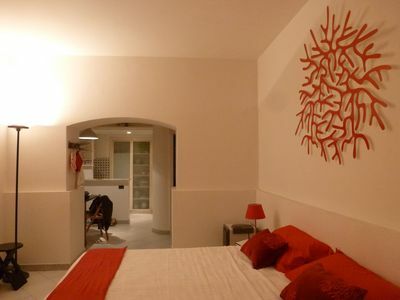 The room is fitted with heating and you access the bedroom from the corridor. 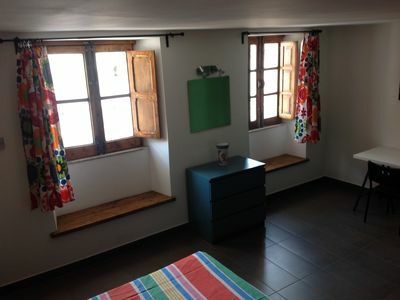 THE SECOND BEDROOM contains a double bed and has a window which looks out onto the garden. The room is fitted with heating. Through the French windows you will have access to the first terrace. Access to the bedroom is from the corridor. THE THIRD BEDROOM WITH EN SUITE BATHROOM contains two single beds and is fitted with heating. Through the French windows you will have access to the first terrace. The bathroom is fitted with a sink, toilet, bidet, and shower. Access to the bedroom is from the corridor. THE SECOND BATHROOM is fitted with a sink, toilet, bidet, and shower. Access to the bathroom is from the corridor. THE SECOND TERRACE is equipped with tables, chairs, a sun umbrella, and a table tennis table. From the terrace you’ll enjoy a gorgeous view of the sea. You access the terrace from the living room. THE LIVING ROOM is comfortable and bright. 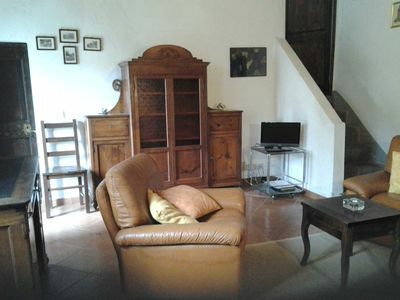 Here you’ll find two sofas, a coffee table, a television, and a dining table for six people. 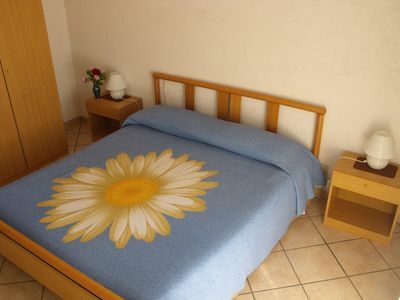 The room is fitted with air conditioning and heating. From here you’ll have access to the second terrace with a sea view. THE KITCHEN is fitted with a five-burner gas stove, an electric oven, a fridge-freezer, dishwasher, kettle, toaster, and other small appliances. Access to the kitchen is from the living room. THE THIRD BATHROOM is fitted with a sink, toilet, bidet, and shower. Here you’ll also find the washing area containing a washing machine, iron, and ironing board. - Security deposit: 500,00€. The security deposit will be returned prior to your departure unless there are accidental damages to the property. 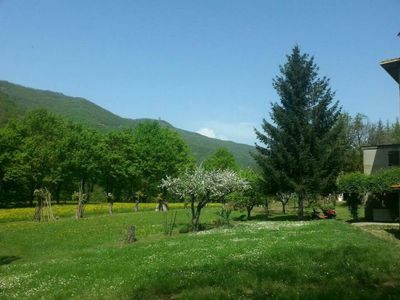 For a peaceful and relaxing holiday on the hill, and not only... Near artistic cities like Florence Lucca Pisa, Montecatini's spa and, for kids, the beautiful Pinocchio's Park.